A study of one of the ancient world's most fascinating figures. Fascinating and readable biography by a great populariser of classical civilisation. 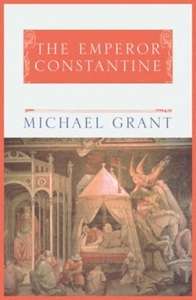 Directly responsible for momentous transformations of the Imperial scene, Constantine will always be famous as the 1st Christian Emperor of Rome, and for refounding ancient Byzantium as Constantinople - events which rank amongst the most significant in history. In art, politics, economics and particularly in religion, the life of Constantine acts as a bridge between past and present. Was he the last notable Roman Emperor, or the first medieval monarch ? Was the Great convert a saint and hero, or should we regard him as a murderer who killed his wife, his eldest son , and many of his friends to further his own ambitions? These are just some of the issues that are raised in this stimulating biography.